Leaky ceilings, a flooding basement, and faulty insulation – the stuff of a homeowner’s nightmares. But while these problems are fully repairable, very few Canadians have the funds to pay for them. A 2015 report issued by BMO stated that nearly one third of the working population in Canada have less than $10,000 in savings. Sadly, 26% of the demographic were setting aside for home renovations that they couldn’t afford on the spot, since home renovations in Canada average $11,000 in 2018. The thing about home repairs is that they really shouldn’t be left to wait. The longer it takes to resolve them, the more damage you might face when you finally decide to renovate. And of course, that also means a greater expense. All that said – why wait when there are home equity loans? Find out how these loans can help you fully renovate your home today, and pay for it tomorrow. First, let’s define the terms. Home equity pertains to the portion of your home value that you own. This is determined by the amount of the mortgage that you’ve already paid for. To calculate your home equity, you subtract the amount you still owe on your home from the original mortgage total. So if your mortgage costs $175,000 and you still have $80,000 in debt, that means you have $95,000 in home equity. Now, what is a home equity loan? These are secured loans that are lent to you with your equity as collateral. The more equity you have on your home, the greater the value you’ll be allowed to borrow. A home equity loan from the right lender can grant you a large sum of money with low interest rates. Compared to credit cards which can charge up to 29.9% interest, a home equity loan can have interest’s rates as low as 3.85%. So monthly payments become far easier to meet. On top of that, a home equity loan is a collateral loan. That means most lenders will be far more comfortable approving your request since you have it secured with physical property. Although the process of getting approved for your loan can take time depending on your chosen lender, they will likely require far less documents and credentials making it easier on your end. While it might be a viable source of funding for your home renovation, there are risks to taking out a home equity loan. The most obvious is that you might lose your home all together if you’re unable to meet the monthly payments required of you. Be sure to consider your expenses and how much you’d be able to take on top of your usual financial obligations before filing an application for a home equity loan. Home equity line of credit is often mistaken for home equity loan, but they are different. The HELOC option gives you a pool of funds that you can dip into – just like a credit card – and you have the option to pay off all or part of what you owe over an extended period. Once you pay off a certain amount of your interest and the principal of your HELOC, it draws back down and you can re-borrow, just like a credit card. These are usually valid for anywhere between 5 to 10 years after approval. 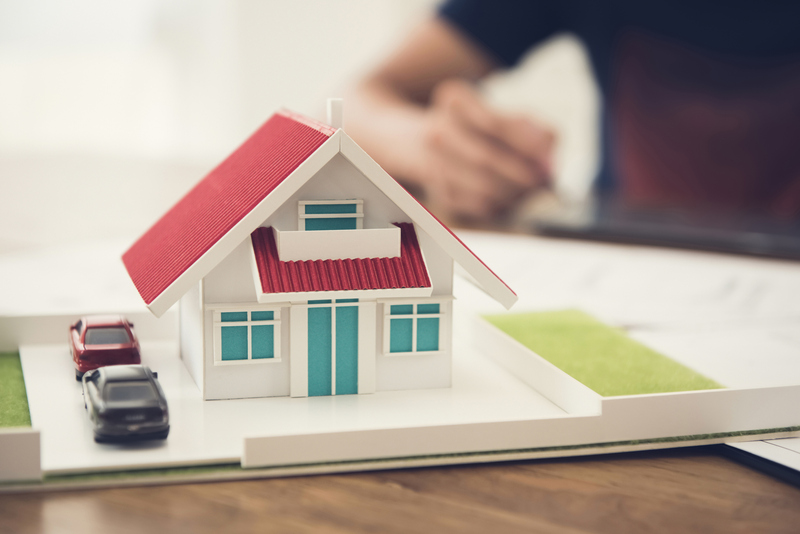 When it all comes right down to it, finding the ideal loan all depends on connecting with the right lender. Browse our database to find reliable, trustworthy funders that can provide you the amount you need to get those household renovations done. So, should you opt for a home equity loan or HELOC? It depends. If you have a fixed price project, then you’d be better off with a home equity loan that can provide you the full sum of what you need to get your home renovated. If you’re entering snow storm season and you want to be prepared for potential damages to your home, applying for HELOC might be better off. This lets you take out just what you need to pay for repairs as they come, preventing you from borrowing more than you actually need. Khadija holds a bachelor's degree in business administration. She is a professional writer with 7+ years' experience in the industry. Khadija has a small family and loves spending time with them.